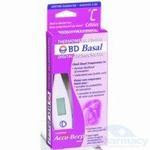 Home Basal body temperature Taking your temps wakes up your partner? Taking your temps wakes up your partner? Idea #1 - Before turning it on and putting it in your mouth, tuck it between your neck and shoulder. After using a BBT for 5+ years, I have noticed that turning it on and putting it straight into my mouth can take anywhere from 16-22 beeps! But when I warmed it up first, before turning it on, it only takes 8-12 beeps. Idea #2 - Experiment! It's said that you need to take your temperature the moment you wake up, before you even move - but I found that my temp was much more stable. I can lay there and wait till hubby gets up for work, if it's soon - or I can even get up myself, take my thermometer into the bathroom and take it there. How do I know? I experimented! I took my temp as soon as I woke up, then again after my hubby got up and again when I went into the bathroom. For me there was no change. It might not be the same for you, but you never know till you try! Ok so i have a question, is there a difference between the white bd basal thermometer u have pictures here and the blue one?? are all the features the same? Sorry, I am not sure which one the blue one is, so I can't really comment on any differences. But I am sure that they all work generally the same, with each company adding their own "bells and whistles".